At DGC you might say we have an unhealthy obsession with one of our favorite fast-causal restaurants, Chipotle. It isn’t uncommon to run in to colleagues while in line, or take trips together for the sweet meal. So, because our obsession runs so deep, we each decided to let the world in on our sacred Chipotle orders – of course each of us thinking our own is, by far, the best. If you’re in the mood for some mouth-watering content, continue to scroll down and decide for yourself what the best order of the bunch is. Regardless of your political beliefs, Donald Trump is unlike any “politician” in recent memory. He’s never been one to pull verbal punches, which is why I say “politician” in quotes, because he’s far from your stereotypical elected representative. From his racist terms against certain demographic groups and objectifying phrases towards women, it’s no secret Trump doesn’t hold back. His most recent contretemps came when he had Univision reporter Jorge Ramos ejected from a press conference. From a PR agency’s perspective, the Donald’s approach is a nightmare. While being “politically correct” is not Trump’s MO, it should be for the rest of normal human society, and Trump’s style and approach are definitely not the way a potential President should behave. To make matters even worse, many of his remarks are not supported by facts, which make them even more outlandish. His comments towards women are uncalled for, and he’s leaving a wide trail of very angry people – and media stations – in his wake. 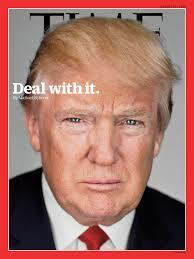 That said, his approach has led to a media craze, including the cover of Time this week. What was once a circus now has to be taken more seriously. It’s a unique stance that, from a purely objective angle, is refreshing, considering the election is more than twelve months away. It’s provided some buzz in the dog days of summer, even if it’s for the wrong reasons. Meanwhile, the news media can’t get enough, and I’m sure the funny folks at Saturday Night Live hope Trump mania continues for their upcoming season. We’ll be following Trump over the next year to keep up with his words – and media buzz – and be sure to share our thoughts here on The Hit Board. 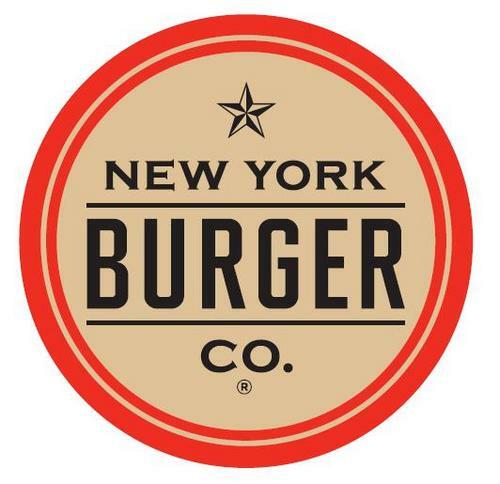 Burger Battle: What’s the Best Local Burger Joint? At DGC our passion for PR might be overshadowed by our passion for food.. This week we decided to pit local burger spots against each other and see which location came out on top. Turns out, it wasn’t that close of a competition…Madison Square Park’s Shake Shack took home gold without breaking a sweat. While there can only be one winner, burgers are burgers, so no one is truly a loser. Below hear from a few of our biggest burger fans on their favorite burger and, more importantly, why. It’s virtually inevitable – work long enough with certain people and you’re bound to run into them at a restaurant. Or at the gym. Or at a company outing in the Hamptons laying out at the pool (more on this in a moment). These are the moments when your co-workers become “people” or even potentially “friends.” They are also instrumental to building the type of the congenial, collaborative, transparent work experience so many companies strive to attain. In a recent article in Fast Company on the cultures at Facebook, Ideo and Virgin Airlines, a theme of blending the personal with professional at the companies featured runs throughout the story. “Bring your authentic self to work,” says Facebook. Virgin Atlantic looks to hire people with a “comfort in sharing their personalities.” Clark Scheffy, Managing Director at IDEO, implores employees to “bring their whole selves to the workplace.” The days of putting on a corporate guise every time you walk through the office doors apparently is a relic. More than ever before, authenticity is the cornerstone of a transparent company culture. DiGennaro Communications took that to heart during our recent summer outing in the Hamptons – where many of us saw each other in a new light – sunlight! There’s a moment of authenticity that comes when you’re standing next to a coworker in a bathing suit in a pool rather than sitting next to that same person in a business suit at your desk. The most effective company cultures are the ones that stress that we present our true selves to our co-workers and feel comfortable with one another. That’s as true in the conference room as it is in the pool. I speak from experience when I say there’s nothing quite like watching your co-worker float by in a massive inflatable pink flamingo while shooting everyone with a water gun. South by Southwest Panel Picker is here again, and it’s another opportunity for great insights, learnings, and dynamic industry leaders to come together. We at DGC have submitted two topics for the PanelPicker and if selected, it would be our first time to appear on the SXSW stage. The sessions highlight our unique approach to business and how these ideas have helped us grow since our founding in 2006. Over the years we’ve learned a lot about attracting and retaining the very best talent in the PR industry, especially how to keep pace with an evolving workforce and offer more flexible work schedules and environments. As such, our first session is “Conducting Business in a Flex World.” will share best practices on how to retain talent when employees embark on major life events such as marriage, pregnancy, family-care issues or relocation that can potentially make them leave their jobs. Included in the session will be our CEO Sam DiGennaro and our President Howard Schacter, who will share insights on how to create a flexible work environment that allows for flexibility but still encourages growth and maintains your company culture. Our second session, “Brand Me Please: Personal Branding 101,” looks at how executives can build their brands to align with personal values. DGCers will conduct a live demonstration of a branding session, taking members of the audience and teaching them the basic skills to sell themselves. The “jury” will be comprised of both DGC executives, those from other agencies as well as wardrobe and body language specialists. The winner will get a trip to NYC for a Personal Branding boot camp at DGC headquarters. We appreciate your votes for these sessions, and your willingness to share thoughts in the comments section. Hope to see you in Austin! 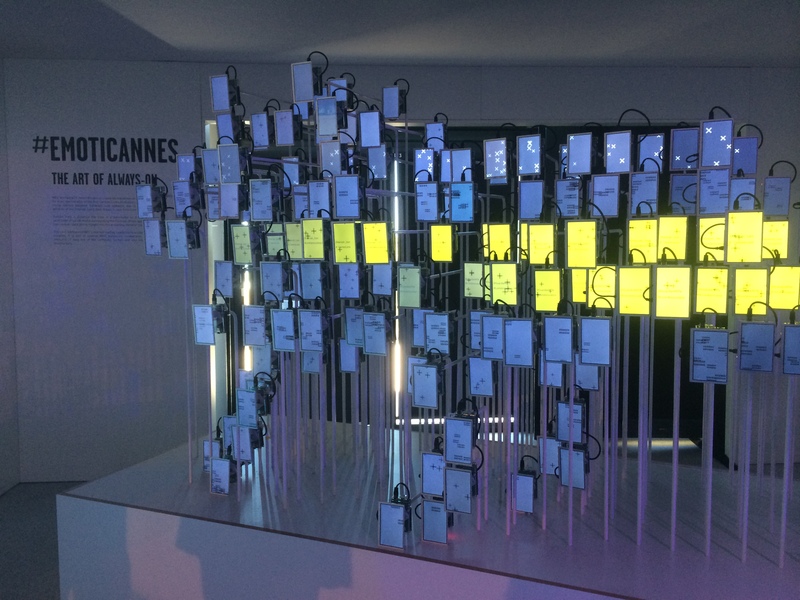 The Cannes Lions International Festival of Creativity is always a frenetic and fun week for DGC and the industry. It’s a unique opportunity to bring together creative minds across the world to celebrate terrific work, focus on challenges, and how to give back to the world. As we recover from a week of hard work, lack of sleep and amazing views, we wanted to share a few takeaways. Business happens when you least expect it. Always be prepared to talk shop, even when you’re walking from the Carlton to the Palais on the Croisette. You never know who you’ll run into and when the conversation will turn from the quality of the rosé to solving business challenges. Be Clear. Be Honest. Words taken from the session of healthy-cooking advocate Jamie Oliver rang true throughout the week. Consumers are now more than ever attracted to brand messages that are sincere and honest. Know your audience. It was clear throughout the week which speakers knew their audiences and which were speaking to serve their own agendas. Facebook executive Chris Cox gave an excellent presentation that spoke to the larger issues of cultural sensitivities in communications. In one of his many examples, Cox gave advice about brand messages in India–don’t use the word “password,” he said, because while that word is such a part of the day-to-day lives of Westerners, it is entirely meaningless even to English-speaking Indians. Knowing your audience and what they need from your brand has become increasingly crucial to gaining consumer receptivity. Strike the right balance of work and play. There’s plenty of work to be done at Cannes – handling the press, networking, going to sessions and identifying new trends, etc. Yet, time spent with your clients and colleagues – at dinner, at drinks, on a yacht, etc. – is just as important. Loosen up a bit and take a moment to get to know the people you partner with a bit better. You’ll find that a few days in the south of France can equal a year’s worth of relationship building in the States. Be a better global citizen. One of the themes that resonated throughout the week was that we need to use technology to be better citizens, a message that also came through in some of the work that won big at Cannes. From the ALS Bucket Challenge and Like A Girl to Twin Souls, it was all about being more compassionate and sympathetic to one another. Monica Lewinksy, Jamie Oliver and DDB’s Amir Kassaei all spoke to how we can use our skill-set to do good. How and from whom is creativity generated? At the Cannes Lions Festival of Creativity, it may seem odd that something this fundamental is actually being asked. Yet, in an industry where mathematicians, statisticians and engineers now stand shoulder-to-shoulder with art directors, answering that question is not as straightforward as one would think. For the first time, Cannes Lions today unveiled its Lions Innovation event. Described as a “festival within a festival,” Lions Innovation is a two-day event where data, technology and creativity intersect. On its site, Cannes Lions describes itself as the industry’s “mirror” – acknowledging that “data and technology are driving creative solutions in ways never seen before.” It’s a theme that has permeated much of the week’s programming. In fact, during a Microsoft/Fast company panel yesterday entitled “Creativity That Matters – How Brands and Agencies Drive Impact” Wendy Clark, President, Sparkling Brands & Strategic Marketing, Coca-Cola North America, said something that really struck a chord. Strategists – not artists – are developing the most incredible creative work. Panel participants, Kathleen Hall of Microsoft and Sophie Kelly of The Barbarian Group, were in full agreement as well. Driving home the point, Audi’s Luca De Meo told a packed audience during his talk “The Moon. Land of Quattro,” that the most creative people play not just with words, but with numbers as well. Pharrell is “happy” by nature, not just because he wrote and sang the 2014 Oscar-nominated mega-hit but because, according to himself, he goes after what he wants. He truly embraces collaboration through creativity and is unafraid of working to get the creative mix of people he knows will win. 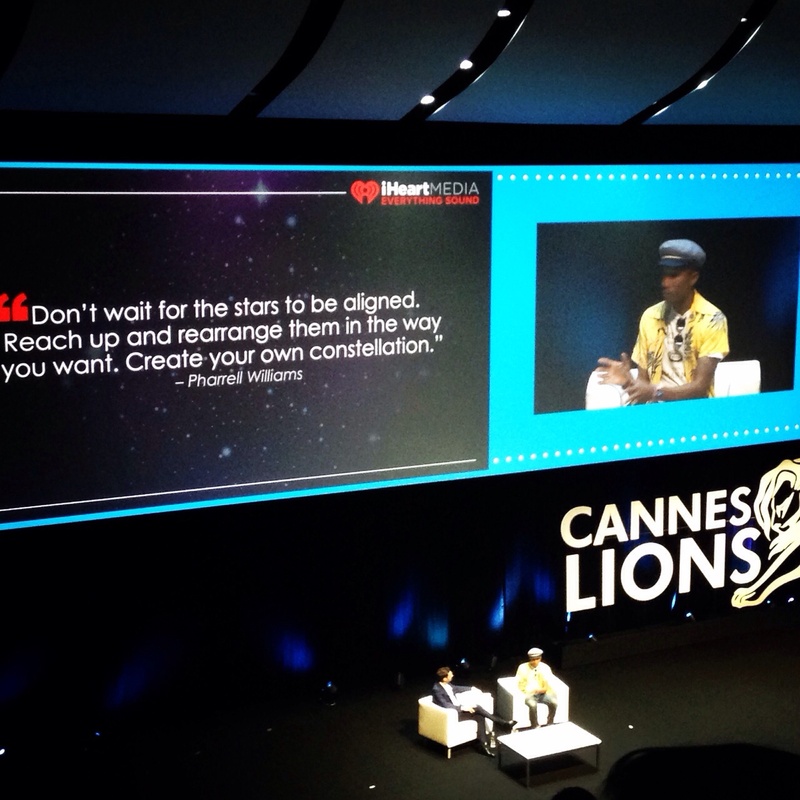 American TV and radio personality Ryan Seacrest sat down with Pharrell at the Cannes Lions Festival on June 24 to talk about collaboration and creativity. Pharrell provided some crucial advice about bringing one’s “A” game to creative projects. Intention is essential. When Ryan asked Pharrell to give the young creatives in the audience advice, he emphasized “intention,” noting that if you are going to create something, make sure to “write some intention in there.” What is your intention for a given project? Intention should be the number one ingredient in everything that you do and, if it isn’t, consumers won’t buy into it. Multitasking is important. Multitasking allows you to diversify projects without “blurring the lines,” Pharrell said. It’s important to have your hand in different things to get the creative juices flowing. That said, you don’t want any crossover between your projects because it will keep them from being truly fresh and unique. Have a “second element.” A song isn’t great just because of the way it sounds, but because of the way that it makes you feel. Just like a movie with all great actors and no plot – you may think that you’re going to like it, but it fails by not providing consumers with the second dimension they need and crave. Creativity and commerce are related. Many people believe that you can’t have both, or that one relies on the other, but as Pharrell so simply put it, when you really concentrate on your creativity, it translates into commerce. Bottled delusion would sell millions. Pharrell noted that if you were able to bottle the delusion for greatness that many people have, it would be a wildly successful product. It’s like the people who genuinely believe they are good singers, but can’t sing a lick – it’s that sense of confidence and delusion that helps people succeed, in addition to providing a fantastic laugh. Adele is the master of intention. 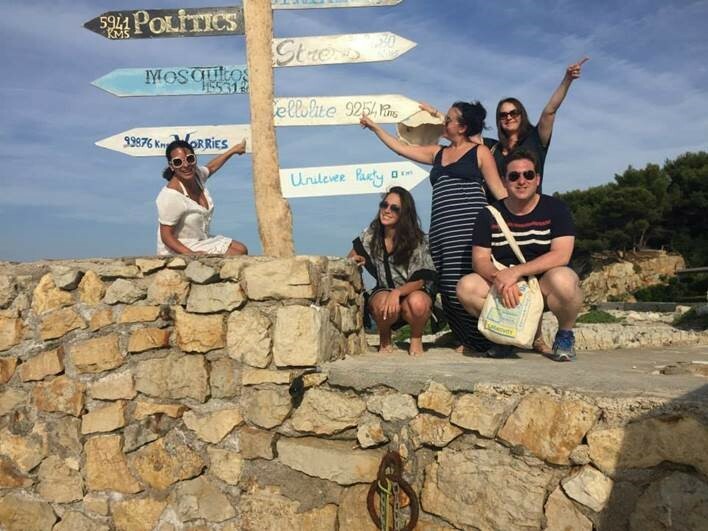 This post is written by Sara Ajemian, Senior Account Director, who is on the ground at Cannes Lions Festival of Creativity. Dave Alpert, executive producer of AMC’s “The Walking Dead,” Josh Sapan, president and CEO of AMC Networks, Inc., and Steven Yeun, an actor on the show, were all on hand to discuss the art of their particular type of storytelling and give a small preview of next season. MediaCom’s global strategy officer Jon Gittings shared how his agency categorizes storylines–hierarchy, individuality, masculinity/femininity, uncertainty, pragmatism and indulgence—and how different countries’ audiences respond to them. Gittings said, for example, that when episodes are indexed against global viewership, North America shows a high preference for individuality and indulgence while Spain, Turkey and Brazil showed a higher preference for storylines that had a strong element of uncertainty. On day two, our DGC team was on the ground early supporting client-press meetings followed by more programming. We stopped in to see Metallica drummer Lars Ulrich and Citi’s Jennifer Breithaupt, SVP, Global Head of Entertainment Marketing, discuss “Music & Branding Moving at the Speed of Culture.” Billboard reporter Andrew Hampp moderated the session, which focused on the evolution of brand/artist partnerships. For Metallica, corporate partnerships are all about balance, according to Ulrich, and if a company has credibility in its industry and offers a creative outlet for the brand, it’s a win-win for all involved. If panelists had one major caution, it was this: Don’t make the partnership a one-off. Invest the time to figure out how to amplify and give it legs to extend the life cycle. Otherwise, you’ll be yesterday’s news before it’s tomorrow. We’ll be continuing to share updates from Cannes, so be sure to stay tuned here to the Hit Board, as well as following us on Twitter, Instagram, and Facebook. There’s much the corporate world could learn from Bruce Jenner about public relations and how to take control of a difficult and potentially embarrassing situation. For months, media speculation on what was really going on with him since his break up with Kris Jenner, the grand doyenne of the Kardashian media/business/gossip dynasty, was on overload – most of it trivial. “Bruce Jenner Gets French Manicure, Wears Diamond Earrings on Outing,” said one headline. Another publication photo-shopped lipstick, curled hair and a silk scarf on a picture of him. Bruce’s story was something deep-rooted and real – not just for him but for many others who identified with his struggles. Yet, the media portrayed his changing appearance as little more than a simple gossip item…no different than any number of small, unimportant nuggets emanating from the family’s reality empire. Rather than remain silent, Jenner took control of his narrative and granted a two-hour interview with ABC’s Diane Sawyer that aired on national television and was seen by more than 20 million viewers. He talked of his personal struggles with gender identity in genuine and raw terms and in so doing he shifted the dialogue away from the sophomoric gossip that filled the tabloids for months into an adult conversation. The national discussion was now about transgender issues that the mainstream media covered with thoughtful pieces on Jenner’s personal journey and its broader implication for others facing similar challenges. His family came out in support of him. He quashed speculation of this being a publicity stunt. Even the rest of the Kardashian clan – typically known for empty, brain-candy nonsense – came out looking sympathetic, progressive and supportive. That’s no mean feat. 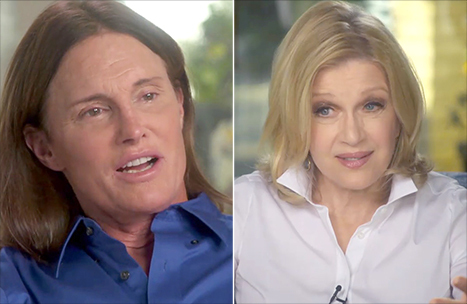 Through honest, direct dialogue, Jenner changed his media narrative in a single interview. He did it by being honest and transparent and answering tough questions truthfully and sincerely. The business world would do well to take heed and act accordingly.